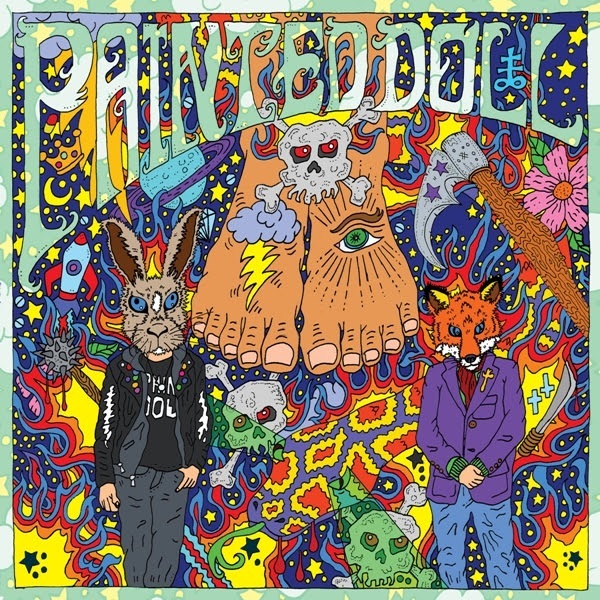 PAINTED DOLL, the new band formed by comedian/guitar shredder Dave Hill and extreme metal veteran Chris Reifert (AUTOPSY, DEATH), recently inked a deal with the New York City independent label Tee Pee Records. The group’s self-titled debut, recorded and mixed by Tom Beaujour at Nuthouse Recording in Hoboken, New Jersey, will be released on February 16, 2018. PAINTED DOLL came to life when “a death metal guy and a power-pop guy got hammered together at a GOBLIN concert in Texas.” Soon after, Reifert and Hill began trying to out-deep cut each other with late ’60s/early ’70s Dutch and British psych pop before Chris suggested the two musicians form a band together inspired by the music they’d been trading. Luckily, there’s zero waiting period to hear the culmination of this peculiar pairing as PAINTED DOLL has released a video for the record’s lead track “Together Alone”. Check it out below.